Pro-Tech Systems Group, Inc. (PTSG), was established in 1986, our primary business revolves around Independent Controls and Information Systems Integration. We supply Computer Based Control Systems, Instrumentation, Design, Education, Software and Service for industrial factory automation, commercial and municipal process control automation. Pro-Tech is a leader in the field of water and wastewater treatment processes, total integration of the treatment process and networked SCADA systems, radio telemetry, cellular technology (including microburst), spread spectrum, CDPD and SATCOM. PTSG is proud to be a founding member of the CSIA (Control Systems Integrators Association) where we have been awarded “Diamond Tier” Membership, this distinction is granted to only 75 Controls Systems Integrators worldwide and requires an intensive audit process, which measures the company’s performance against criteria in seven business areas—Business Development, Financial Management, General Management, Human Resources, Project Management, Quality Management, and Technical Management conducted by an outside auditing firm..
Our Design teams provide feasibility studies, bid specifications, functional and design specifications for automation and computerization of discrete manufacturing, continuous processes, batch processes, PLC, RTU, P & ID, schematic drawings and distributed system design utilizing the best of available technologies. Our professionals include degreed engineers, ISA—Certified field technicians and MicroSoft certified professionals/engineers, along with a gambit of specialized systems certifications, you can rest assured that your system will be economically designed with state-of-the-art technology. 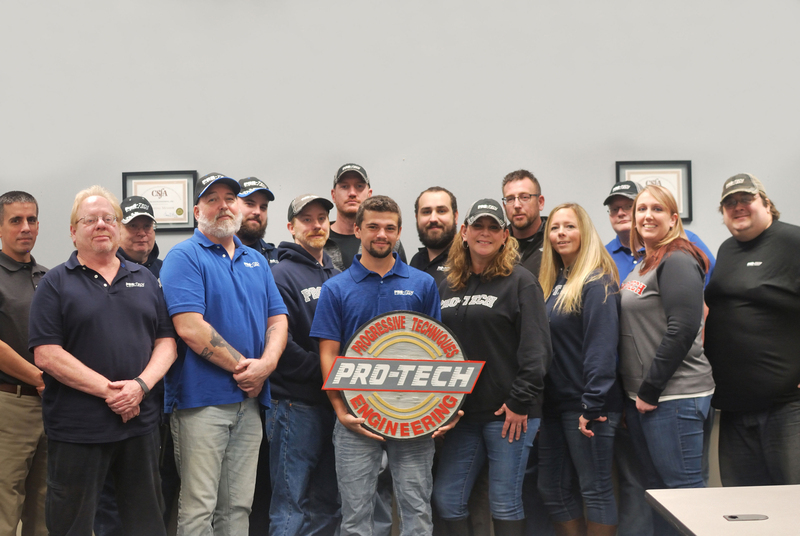 As an Independent System Integrator, Pro-Tech Systems Group relies on our reputation of quality and commitment, maintaining a large inventory of parts, 24 hour emergency service 365 days per year, and a UL508 approved panel shop.